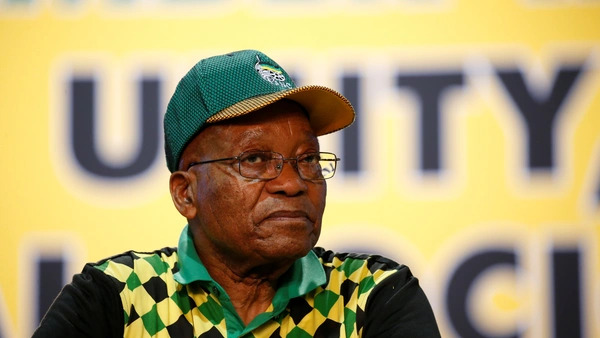 On December 29, South Africa's Constitutional Court ruled that the parliament had failed in its constitutional obligation to hold President Jacob Zuma accountable for illegal expenditure of public money on his private compound, Nkandla. Zuma has survived a number of no confidence votes and has denied wrongdoing. Nevertheless, the Constitutional Court gave parliament six months to put in place a mechanism for removing the president. In response to the court’s ruling, a parliamentary subcommittee is developing a draft procedure for removal that would then be voted on by parliament. South African social media is speculating that the mandated development and review of procedures will increase the pressure on Zuma to resign the presidency. Following the African National Congress’s (ANC) convention vote, he is no longer party leader. ANC policy is that the party leader should also be the country's president so as not to divide authority between president of the country and the president of the party. Media is also speculating that Cyril Ramaphosa, who defeated Zuma’s preferred candidate, Nkosazana Dlamini-Zuma, will be trying to force Zuma out of the presidency to clear the way for reform of the party, which is suffering erosion of electoral support. Zuma, however, retains allies at the top of the party machinery, and his removal is by no means a sure thing. Nevertheless, the episode illustrates once again the power and independence of the South African judiciary. South Africa is not a parliamentary democracy, but a constitutional democracy. The constitution, interpreted by the judiciary, is sovereign, and all branches of government are subordinate to it. Hence, in the face of the December 29 ruling, parliament is moving to establish clear procedures for the removal of a president.